The GOP’s hands are tied, but that doesn’t mean We the People must just watch with frustration and do nothing. Now, an election integrity watchdog group, Virginia Voters Alliance, is doing something about election fraud committed by non-U.S. citizens in the state of Maryland. An election integrity watchdog group is suing the state of Maryland, alleging that it has discovered massive and ongoing fraudulent voting by non-U.S. citizens in one county. But because of the way that the non-citizens are able to cast votes in elections, the fraud is likely happening in every single county and subdivision across the state. The group believes that the illegal voting has been happening for years. 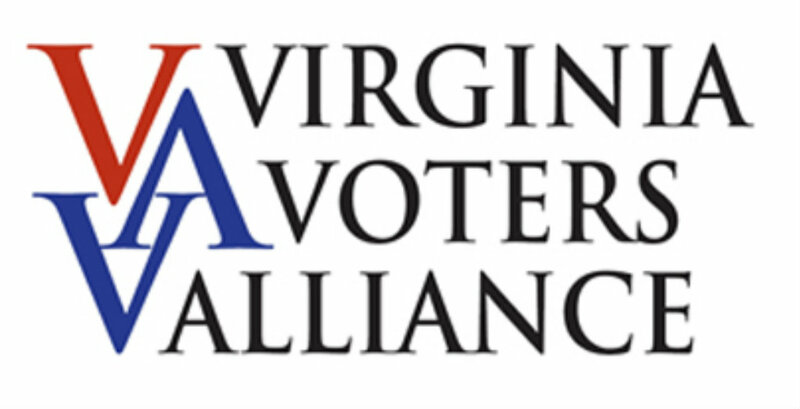 The group, Virginia Voters Alliance, says that it compared how voters in Frederick County filled out jury duty statements compared with their voting records. The group’s investigation found that thousands of people in Frederick County who stated that they are not U.S. citizens on jury duty forms went on to cast votes in elections. Either they failed to tell the truth when they were summoned for jury duty, or they cast illegal votes. Both are crimes. The same group previously found that about 40,000 people are registered to vote in both Virginia and Maryland. It is a federal crime to cast votes if you are not legally eligible to vote. Non-citizens, whether in the country legally or not, are prohibited from voting in most local and all state and federal elections. Yet the VVA investigation found that hundreds of non-citizens have been voting in Frederick County, Maryland. One in seven Maryland residents are non-U.S. citizens. Maryland state law makes it easier for non-citizens, both those present legally and those in the country against the law, to vote. Maryland issues drivers licenses to legal and illegal aliens. Driver’s licenses in turn make it easier under the Motor Voter law to register to vote. Maryland also offers copious taxpayer-funded social programs to non-citizens in the state. The group filed suit in Baltimore’s U.S. District Court on Friday. They are suing the Frederick County Board of Elections and the Maryland State Board of Elections. Del. Pat McDonough (R-Baltimore and Harford Counties) detailed the alleged fraud in a Maryland press conference today. He is calling for a special state prosecutor because the fraud may be taking place statewide, with significant impact on Maryland elections. Maryland currently holds 10 electoral votes in presidential elections. McDonough is also proposing legislation including voter ID to close the loopholes that he says non-citizens are using to cast votes. There are frequent allegations in America and Maryland about the existence of voter fraud. In the case I am presenting today, there is documentation and a track record. The numbers and facts from the records in Frederick County are the tip of the iceberg. When these numbers are multiplied by including the other subdivisions in Maryland, the potential number is alarming and could change the outcome of a close statewide election. Even more dangerous is the probability of many local elections that are decided by a few votes could be affected. All 188 members of the Maryland General Assembly are standing for re-election as well as many local office holders. The important election that we have coming up demands that citizens’ votes are not diluted or cancelled by non-citizens who are not legally permitted to vote.The sanctity of the ballot box, because of the flawed system we are pointing out, has already been violated in previous elections. The purpose of the lawsuit is to mandate those responsible for the administration of the election process will remove the non-citizens from the final voting count. The purpose of the investigation by the special prosecutor is to penetrate more deeply statewide and determine why this fraud or any other related violation was allowed to occur. The purpose of the legislation is to plug the massive loophole in current law which permitted these fraudulent practices to take place. Maryland is a Democratic stronghold especially around its larger cities, but the governor’s race there is tightening as Republican Larry Hogan gains ground.Illegal votes could tip the balance if the legal vote is close enough on election day. “What if Hogan loses by 500 votes or 1000 votes?” McDonough asked. Maryland Gov. Martin O’Malley is expected to run for the Democratic nomination for president in 2016. Del. McDonough noted that the fraud uncovered by VVA occurred on O’Malley’s watch.